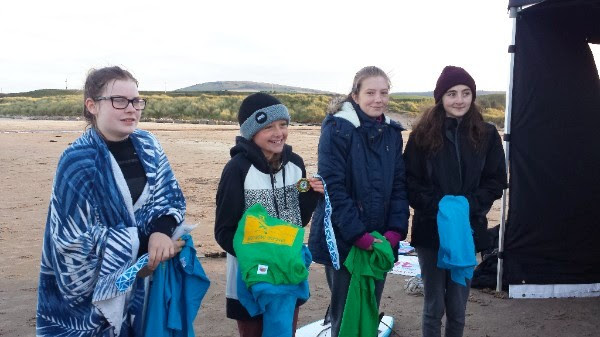 Mild weather and some excellent surfing conditions were on offer on Saturday the 22nd October 2016, for the first ever Sandend Grom Comp. This allowed for the competition to run smoothly, providing an excellent playing field for the kids to demonstrate their skills. With a respectable turn out of 25 competitors, the competition was split into two categories of 15 boys and 10 girls. The majority of competitors came from the local area although several had travelled from further afield including Elliot Young who recently represented Scotland at the ISA world surfing games in Portugal. 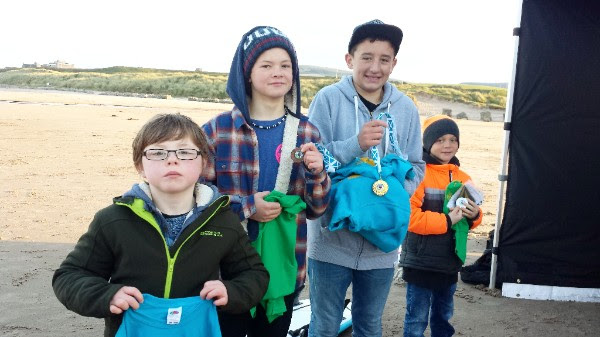 Organised by New Wave Surf School and Suds Surf School, both based on the Moray Coast, the competition was the first of its kind in the area, and proved to be a great success. With 13 heats to get through, it was a long day on the beach but the kids took it in their stride with excitement and smiles all around. 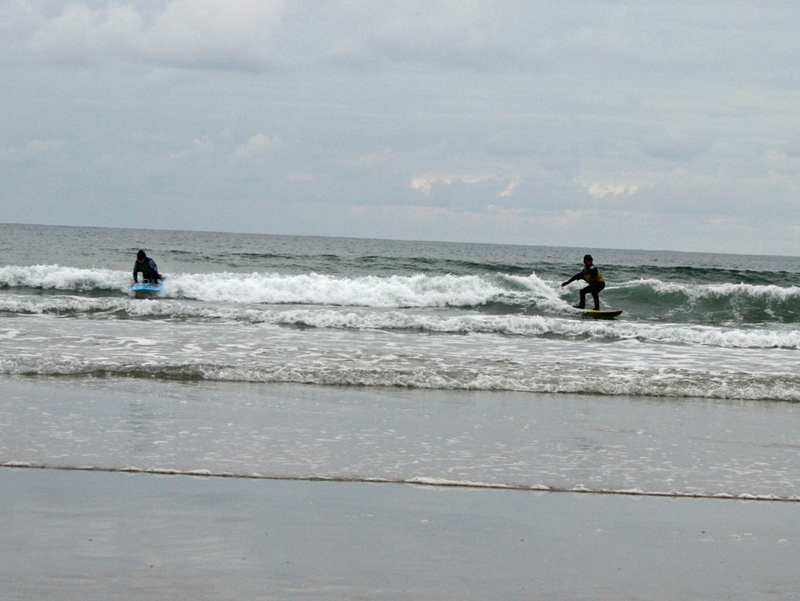 But a big well done is needed for all competitors who put in maximum effort, and put on a great show of their surfing skills! 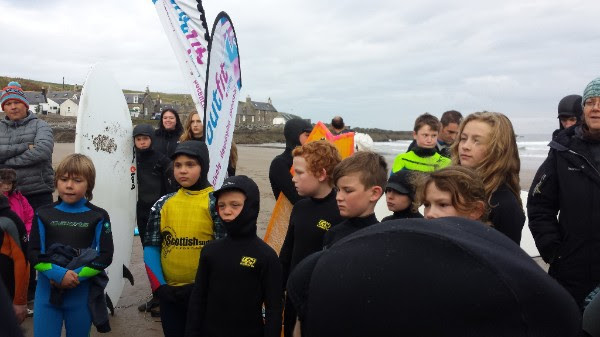 Special thanks to the Scottish Surfing Federation, Outfit Moray and Bike Revolution for supplying gazebos, flags, and other equipment needed to run the competition. Special thanks also to John Hubbard at Moray Trophies for supplying medals for the competition, and to all who turned up on the day to help with the running of the comp including Jamie Sutherland and Jamie Marshall who spent all day judging.